If you have just updated to a new iPhone 5S or iPhone 5C from an old iPhone model (such as the iPhone 5, iPhone 4S, iPhone 4), you may want to transfer data from old iPhone to iPhone 5S/5C. Follow the 2 methods below to easily transfer all data, including photos, contacts, text messages, notes, call history, Safari bookmarks, and more from old iPhone to the new one. And they also work to transfer data from iPhone 4 to iPhone 5, such as transfer contacts, photos, text messages from iPhone 4 to iPhone 5. To transfer old iPhone to new iPhone 5s, 5c, you can either use iTunes or iCloud for help. Below are the 2 ways in details..
You can use the latest version of iTunes (iTunes 11.1 or newer) to transfer old iPhone data to new iPhone. Open iTunes on your computer and click iTunes > Check for Updates to verify that you have the newest version of iTunes. 1. Backup your old iPhone with iTunes. You can Sync with iTunes, which will generate a backup file automatically, or click the old iPhone button in the upper right corner to open the iOS device's Summary tab, and click "Back Up Now". Note: Once the backup is completed, turn off the old iPhone because using it could cause conflicts with the backups in iCloud. 2. Power on the new iPhone 5S/5C. Then follow the on-screen instructions to complete the setup assistant by selecting language, country, and whether to enable Location Service. When prompted, choose your Wi-Fi network. 3. When prompted to set up, choose "Restore from iTunes Backup", tap "Next" and enter Apple ID and your password. 4. Connect your new iPhone 5S/5C to iTunes (on the same computer used to backup your old iPhone). iTunes will ask to restore from backup or set up as new. Choose the backup of the old iPhone and select "Continue". Note: Restoring from backup will take you some time depending on the amount of data. 5. When the restore process is finished, the new iPhone 5S/5C will restart. You can keep your device connected to iTunes to sync data not contained in the backup. You can verify and change which data are synced by clicking syncing tabs in iTunes. You will need to enter the passwords for Apple ID, email, other accounts and voice mail again since the passwords are not restored to the new device due to security reasons. Alternatively, you can use iCloud to transfer contacts, photos, videos, SMS and other data from old iPhone to iPhone 5S/5C without iTunes. 1. Open your old iPhone, go to Settings > iCloud > Storage & Backup, and tap on "Back Up" button. This process will take some time according to the amount of the data. 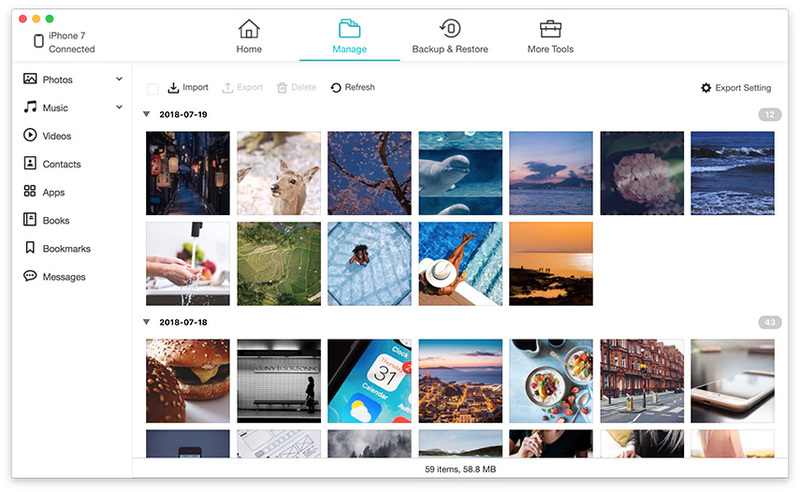 Once the backup is finished, check the last Backup time to ensure the backup is successful. 2. Turn off the old iPhone and power on iPhone 5S/iPhone 5C. Then follow the on-screen instructions to completed the setup assistant and choose your Wi-Fi network (like the step 2 with iTunes). 3. Select "Restore from iCloud Backup" and tap "Next". Enter your Apple ID and password. 4. Agree to the Terms and Conditions and confirm it. 5. Select the latest backup of the old iPhone and tap "Restore". It will take you some time depending on the amount of data and the speed of the Internet. Once the restore process is finished, your new iPhone 5S/5C will restart and you can check to see whether the data from old iPhone are there. With these 2 ways, you will successfully copy data from old iPhone to iPhone 5S or iPhone 5C. 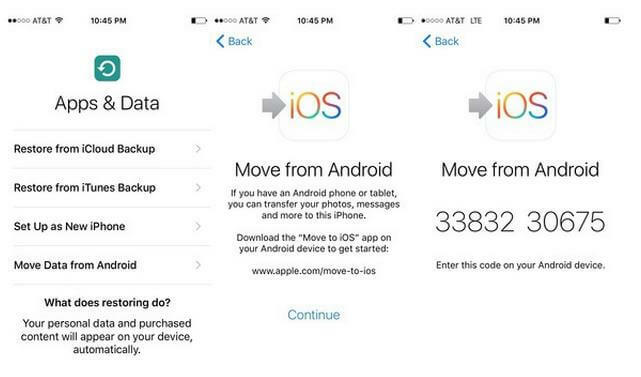 You can also or iPhone 5C after the transferring to avoid data loss from your new device.